We went to Tamworth shopping the other weeks, not normally a place we go, but thought it would be a change and we was on our way back from Coalville in Leicestershire. 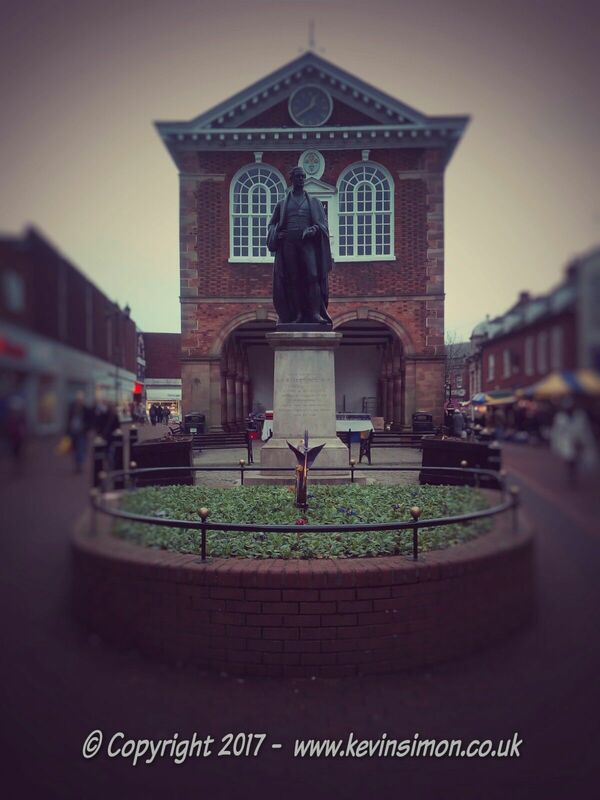 I was taking some photos just using my phone and took one of the town hall with the statue of Sir Robert Peel in front. Wasn’t that much of a great shot but a few quick tweaks using the Google snapseed app on my phone got it to this. On the subject of Tamworth town hall, I have been in there as a good few years ago as we went on a ghost hunting evening in the castle and the town hall, which was a interesting experience see HERE for full details.